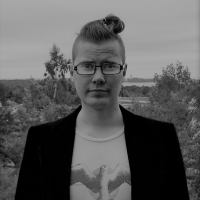 Simo Raittila is a PhD student in Sociology at the University of Helsinki. He also serves in the Editorial Board of the Ecosprinter, FYEG’s magazine. With a team of two friends, he won the shared first place in a 2016 Basic Income Hackathon in Finland. Finland has just launched a basic income experiment. How is it different to other models. A critical yet hopeful look at its design & purpose.